Bissett CFA Ethics Team has won again! For the second year in a row, the Bissett School of Business team has won the CFA Societies of Canada Ethics Challenge regional round! The Bissett team beat out teams from the University of Alberta, University of Calgary, University of Lethbridge and SAIT. The Bisset team will advance to Nationals which are to be held in Calgary this coming May. Representing the Prairies Region, they will compete against the top schools from the other Canadian regions: BC, Ontario, Quebec and the Maritimes. The Bissett team is comprised of Aliza Carrol (BBA – Financial Services 2020, Houston Higgins (BBA – Financial Analysis 20190, Gurdit Khatra (BBA – Financial Analysis 2019), Alaina Magnusson (BBA -Financial Analysis 2020) and Allana White (BBA – Finacial Analysis 2020). As faculty advisor, Bissett Professor Cathy Roy-Heaton would like to mention how proud she is of their efforts and the quality of their analysis of a very complex governance -ethical scenario. Their success is a direct reflection of the quality of our Finance program! Congratulations Team! 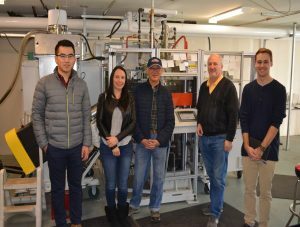 Professor Stephen Sit and the Supply Chain Club tour Canadian Vinyl Record Inc. 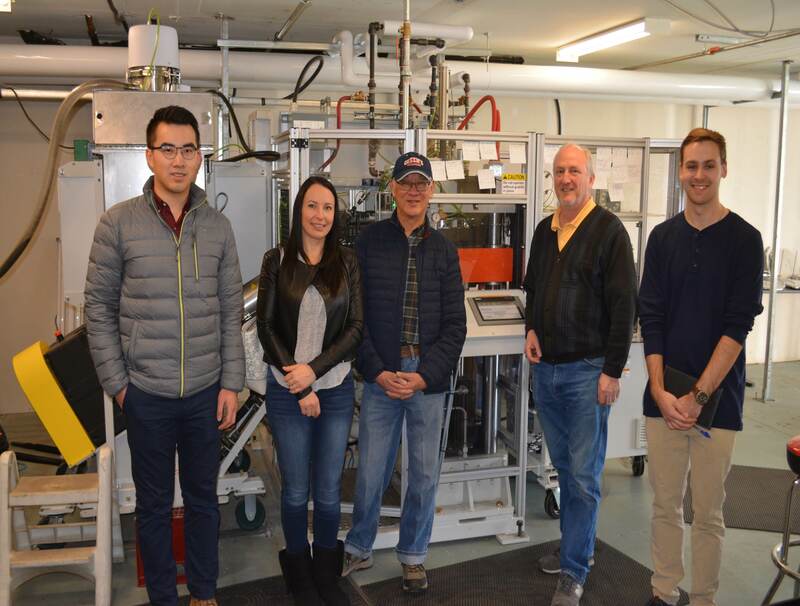 The Mount Royal University Supply Chain Club organized a tour of the Canadian Vinyl Record Inc. in NE Calgary on Friday, Jan 25, 2019. This facility is one of the four vinyl records producers in Canada. The tour was conducted by the company owner, Mr. Ian Lawson, and lasted for about 90 minutes. The students were shown the process of how vinyl records are manufactured, starting from the raw PVC plastic beads, to the final products. They also visited the recording studio, the sound control room, the facilities, and were shown the equipment used and the process involved. Stephen would like to thank Kasia Kolt who organized this trip. Bissett would like to congratulate Associate Professor Melanie Peacock (et al.) 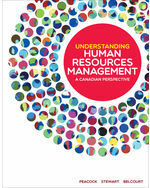 on the release of her latest edition: Understanding Human Resources Management. A Canadian Perspective. 1st Canadian Edition. Melanie is a Human Resources professor and the current President of the Mount Royal Faculty Association. Bissett Assistant Professor, Tahsfeen Hussain, has had two papers accepted for presentation in the South Western Finance Association Conference to be held in Houston in March. The papers to be presented are: “Do Credit Default Swaps Impact Lenders’ Monitoring on Loans?” and “Board Interlock and Fraud Restatement Spillover”. The SWFA Conference is a highly reputed finance conference. Bissett School of Business Assistant Professor Rachael Pettigrew is presenting research on how employers are adapting to the new parental leave policy extension on a panel discussing Work and Family Issues at the Vanier Institute of the Family, Families in Canada Conference. The Conference takes place in Ottawa on March 27-28, 2019. Jacqueline notes that Bissett School of Business is now part of a select group of Canadian Universities that have collaborated with CUSO International, a not-for-profit development organization funded in part by the Canadian Government through Global Affairs Canada. CUSO International is currently working with the Chamber of Commerce, in Quibdó Colombia and as a result of this partnership, Bissett International Marketing students are working with 13 SMEs, advising and developing an International Marketing Plan with the end goal of developing strategy to help transform these domestic entities into global trade players. Colombian companies that are participating are diverse in scope and industry, ranging from service providers (tourism, food and beverage industry- craft beer, chocolate), manufacturing (canneries, household good, fashion, crafts), and farming (fruits, coffee, cocoa). – innovation in teaching through experiential methods implemented in the classroom, removing the high cost and risk of field schools in the context of a more inclusive education opportunity for all students. 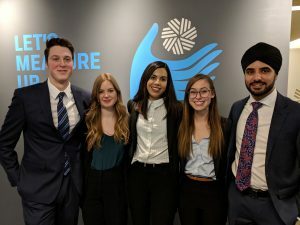 – internationalization, as students take another step towards becoming global citizens and ambassadors of Canadian goodwill. Dr. Musabende would like to extend her thanks and gratitude to the staff at the Riddell Library for their support in this project. James Stauch, Director of the Institute for Community Prosperity announces the Student Guide to Mapping a System is complete! This twelve step guide will help walk individuals and teams through the process of mapping a system (looking at challenges in a wider context that includes “interacting factors such as economic forces, political movements and global trends”). The guide is intended to provide advice and additional tools for each step of the process, from picking a social or environmental challenge, to presenting the analysis and recommendations whether visually, orally or in written works. James indicates these publications will remain a public resource (and free to download as a PDF), with the intention to update annually. Please look out for Webinars and workshops in the near future. Congratulations to Daniela, Anna and James on completing this important publication for students! The Bissett Accounting Students Society held their Fall financial accounting case competition this past October. 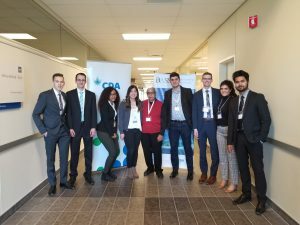 Nine teams, comprised of two students each competed for prize money sponsored by the CPA Education Foundation. Special thanks to judges Adrian Surban CPA (Atco), Jennifer Cheung CPA (CP Rail, and Shiraz Kurji CPA (Bissett Associate Professor in Accounting). Also thank you to the CPA Education Foundation for their continued support . As part of the CFA Institute University Affiliation Program membership, the Bissett School of Business is able to award CFA Level Exam Scholarships through the Financial Analysis Concentration. The finance department has been allocated 15 scholarships for the December 2018 and June 2019 exams. Each scholarship is worth an approximate $900 USD and is administered by the CFA Institute. The Scholarship selections were made by a committee consisting of Bissett Associate Professors in Finance Allan Dwyer, Carlton Osakwe and Cathy Roy-Heaton. 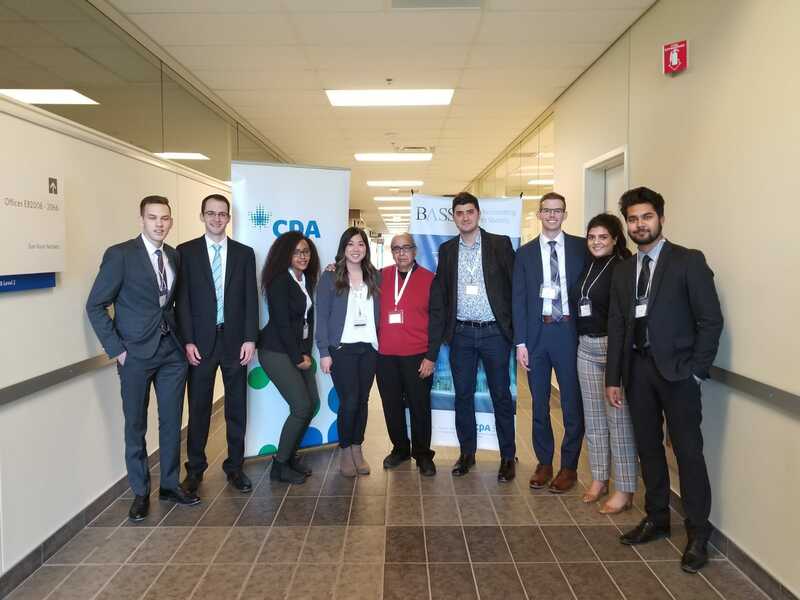 In addition to the requirement of the student recipients being in their final year of studies (BBA GM Major with a Financial Analysis Concentration), the committee also factored in career ambitions and their contribution to the finance program during their time at MRU. December 2018 Examination: Michael Croft, Shahla (Shay) Hussain, Dylan Nemeth, Fabjan Pepaj. June 2019 Examinations: Michael Boulter, Quinn Bromley, James (David) Carlson, Maxim Chiguy, Serge Combot, Syed(Jay) Hussain, Ahsan Khan, Riley McCallum, Victor Power-Romero, John (Cam) Price, Austin Vrabel. Congratulations to all of our student recipients and thank you to the committee for their time and attention given to their thoughtful selections!